THE END OF THE YEAR IS approaching fast! Before year’s end, our team wants to remind you to take a look at your dental insurance benefits. If you have a filling done in December that costs $100 and your insurance pays 80% then your portion is $20, if you have already paid your deductible. That same filling done in January 2017. Costs $100 insurance pays 80% so your portion is $20, but you have to pay a deductible because it is a new year. If your deductible is $75 the filling costs you $95! So the difference in a week can be $75 of your dollars depending on when it was done! Be smart about your insurance and use it to your MAX advantage. 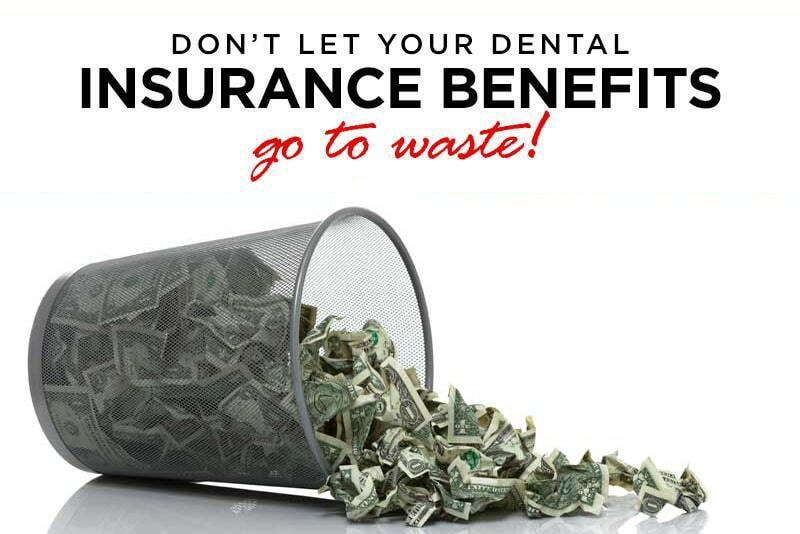 Use your dental insurance to get double benefits! Your not actually getting double benefits but it will feel like it. For example if you have a root canal done in 2016 then do the crown in January 2017. You can maximize your benefit. This means you save $1000-2000 out of your pocket. We love making the insurance pay instead of the patient paying. Most insurance plans give 2 free cleanings a year have you had both? If not you are wasting your insurance money. You pay for your insurance use it. The insurance wants you to do preventitive treatment like cleanings they know in the long run it means fewer dental procedures. Make sure you have had both your cleaning this year. If you need help deciphering your insurance call us. Our helpful staff is waiting to help you understand your benefits. Do you have any questions about your dental insurance benefits? Call us! 423-899-1112. We’re happy to work with you to create a dental health plan that works for you!